On the real? I don’t even know if you guys dig these monthly favorites, but I tell ya what, I do. I like writing them and I like reading other people’s too. I always feel like we need to catch up when I write these so let’s do. I’ve been drinking lots of fancy loose tea, sleeping more hours per night so that’s super cool, listening to my police scanner app and just overall, trying to take care of my rickety 35 year old self. I know you didn’t come here for that info though. I’ve been trying beauty products like a mad woman, per the usual. Now that’s my kind of March Madness. Read on. You know I love the original Invisibobbles so of course I had to have their wittle baby. I really love this for securing braids and half up half down styles. I have thick hair so I don’t even have to wrap it twice. These are both really, really great drugstore foundations. At $10 and $6, there’s something for every budget and they both offer coverage in a formula that looks good on the skin. Ok, fine! 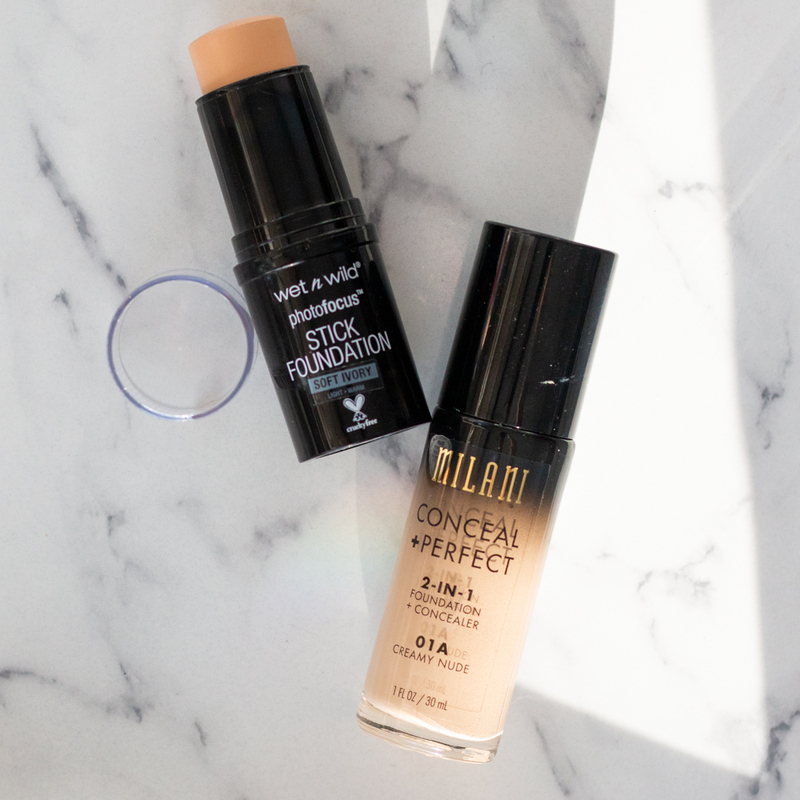 Because you’re making me choose, I like the Milani one best because it’s very full coverage, while the Wet n Wild Stick Foundation is a bit more buildable. 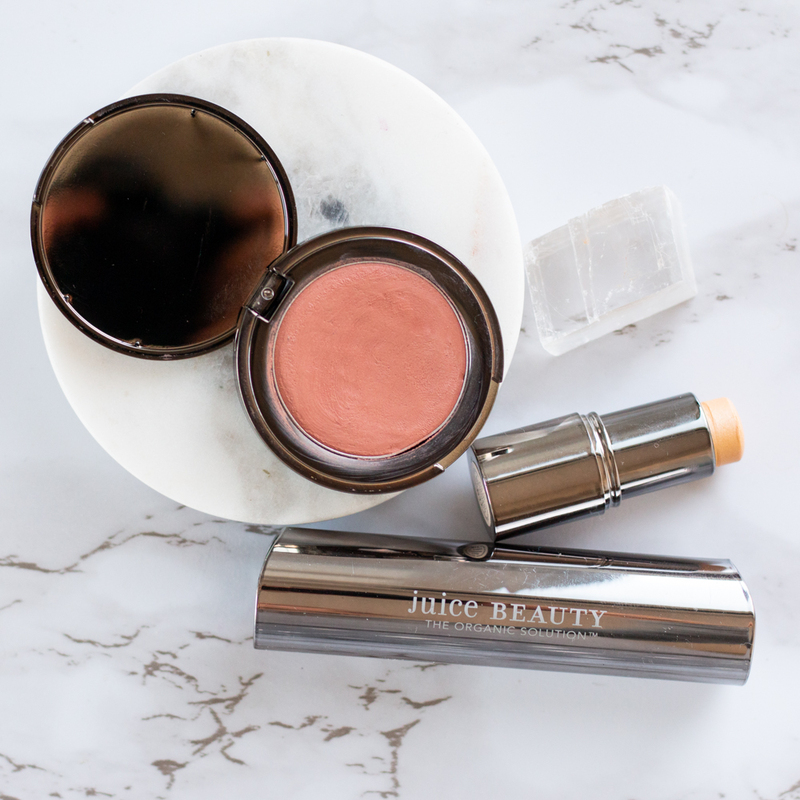 If I’ve done your makeup recently, I probably used this cream blush. Not only is the formula just lovely, not sticky, not dry, but the color Flush honestly just works on everyone I put it on. I like it on eyes and lips too! This new eyeshadow palette from Urban Decay is so well rounded, fresh and easy to use. I’ve been reaching for it lots ever since I got it because it’s what I call a NBP, a no brainer palette. I reviewed it here so make sure you hit that post up if you wanna know more. It’s very bright in my bedroom and the older I get, the more I find this bothers me when I’m trying to sleep. The woman who does my lash lift and tints told me traditional sleep masks can damage your lashes and since I want to keep my lashes as healthy as possible, but like sleep, I had to do something. This 3D sleep mask doesn’t put any pressure on the lashes and blocks all the light out. Gotta tell ya though, it sorta looks like a little mini bra on your face. These presh little polar bears each contain 10mg of CBD, no THC, so you will not get high. These are totally legal in all 50 states. Think of them as supplements. I’m on my 3rd bottle now, which means I’ve taken them faithfully for just over 2 months and I can confidently say that they work for me. I feel much more capable of managing daily stressors and honestly, just cheerier. I pretty much love every single track from the Danish artist, MO (except the O is like the no smoking sign and it won’t let me type that.) Her real name is Karen so I totally get why she goes by MO. I’ll link some tunes below bc they are fire.